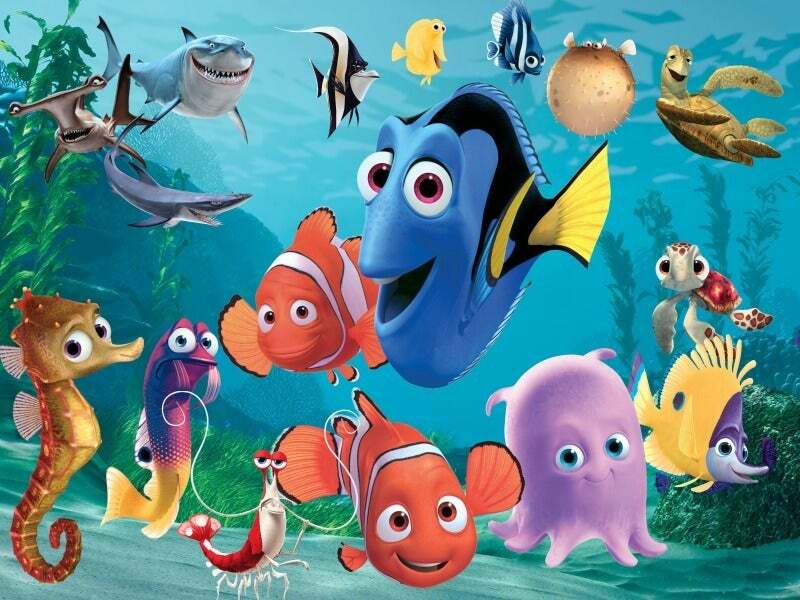 For almost 10 years, Finding Nemo was Pixar's most successful film. And yet, other movies kept getting sequels while our favourite fish story didn't. At last, in 2010, writer director Andrew Stanton got inspired. 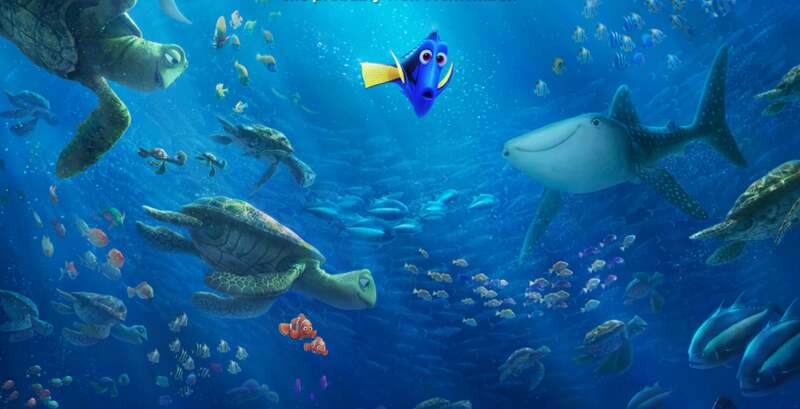 Five years later, on June 17, Finding Dory is coming to theatres. 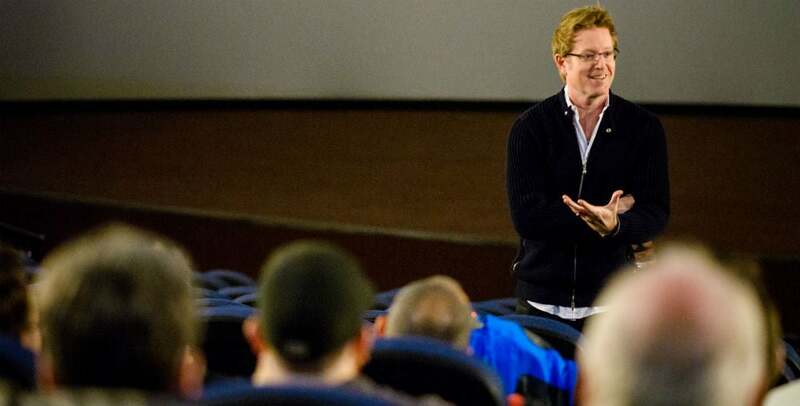 "The last thing I ever thought I was going to do was a sequel to Finding Nemo," said writer/director Andrew Stanton. "I thought it was a closed circuit. I thought that's everything I wanted to say. But the brain works in mysterious ways. Around 2010 I was starting to think about Dory. I couldn't stop thinking about how I didn't believe she'd be able to get back if she got lost again. She didn't have the ability to find her way home again now that she found this wonderful family. I knew she was a tragic figure when I created her and I couldn't drop it. And that's usually the kind of stuff, when it keeps coming back without me trying, you realise there's something worth digging for." The beginning of the film wasn't always the beginning. The beginning of Finding Dory is wonderful and sad, but it wasn't always what it you'll see in theatres. Stanton told us they flirted with three different ways to start the movie, the first being simply a hard cut to the first time we meet Dory in Finding Nemo, followed by "One Year Later." They decided to go a different route. "It's a nice round number," explained Stanton. In addition to the sad beginning, we saw several scenes set in a place called the Marine Life Institute, otherwise known as MLI. It's an aquarium, where Dory's story mostly takes place, and there are some funny, visually clever scenes including the octopus Hank talking to Dory from a sink, Destiny, the whale shark meeting Bailey the beluga, and then an action scene in a touch pool. Dory's memory loss was difficult to deal with. Writing any character is difficult but, when you've taken a sidekick who has short term memory loss and turned her into the main character, well, that's even harder. Co-director Angus MacLane admitted dealing with that was maybe film's biggest challenge. "The biggest challenge, dealing with her short term memory loss," he said. "She forgets all the time, so you're wondering 'Does she remember what just happened?' So [you have to] communicate that to the audience about where she's at, how she feels, what she knows and what she remembers." 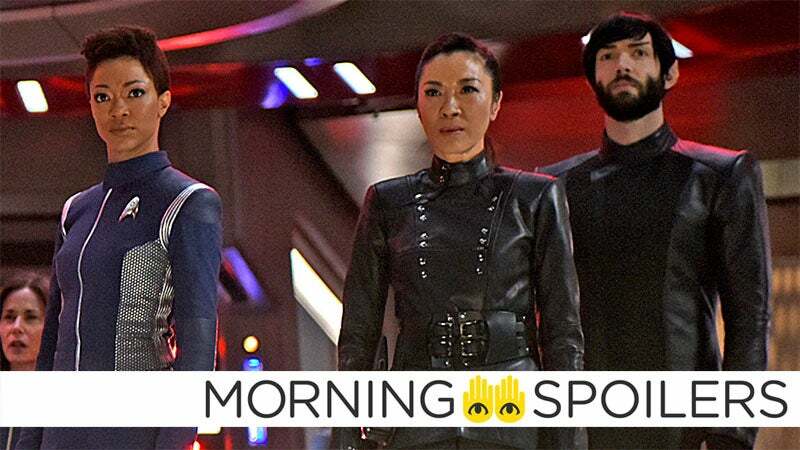 "She wasn't built to be a main character," said Stanton. "She was built to support someone else and a main character is a very different role....She's so wired to tee up everyone else and put the spotlight on them, and we kept falling into that trap. So it was hard." One example was the scene in the touch pool. In early iterations it starred Hank, the octopus (more on him in a bit) as almost like an Indiana Jones-character, moving Dory long through the pool. "This biggest problem with this scene is it's not about Dory," McLane said. "It starts with Hank, it finishes with Hank, Hank is really driving the scene...so the film changed to make sure every sequence was about Dory achieving her emotional goals." In the footage Pixar showed journalists, there was little to no action with Marlin and Nemo. Don't worry though. 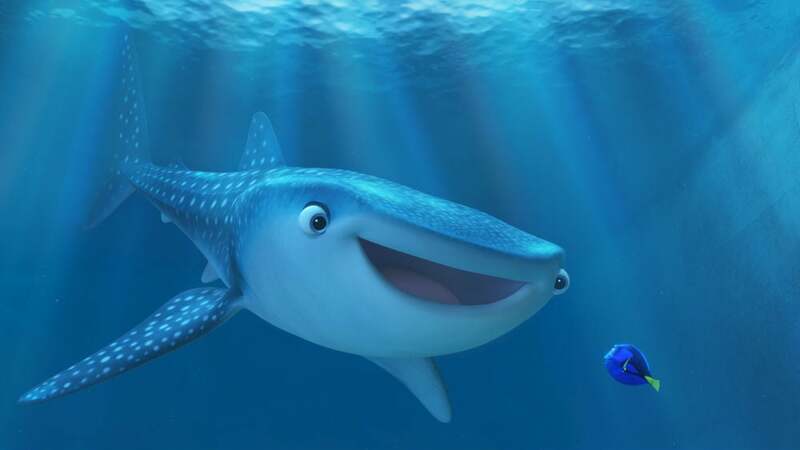 "Marlin and Nemo are still very much in the film," said producer Lindsey Collins. "They're there [at MLI]. They're just not with her. But that was intentional because we wanted her to do this on her own." So even though Marlin and Nemo are around, they have less to do in the final movie than they did in original versions. 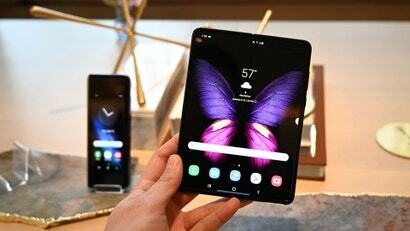 "We had a long, circuitous route with them, that ended up not helping [Dory's] story at all," said Stanton "As a side idea it was fantastic" but ultimately, it was cut. He hope to ends up on the DVD. 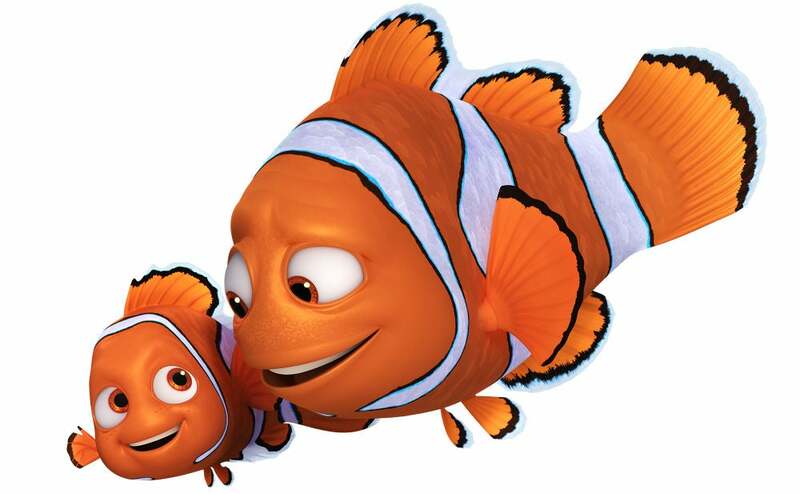 Before Finding Nemo was released, Stanton toyed with revealing Marlon and Nemo's past and family at the end of the movie. Eventually, that was scrapped in favour of setting it up at the beginning. Now, in Finding Dory, it's the opposite. 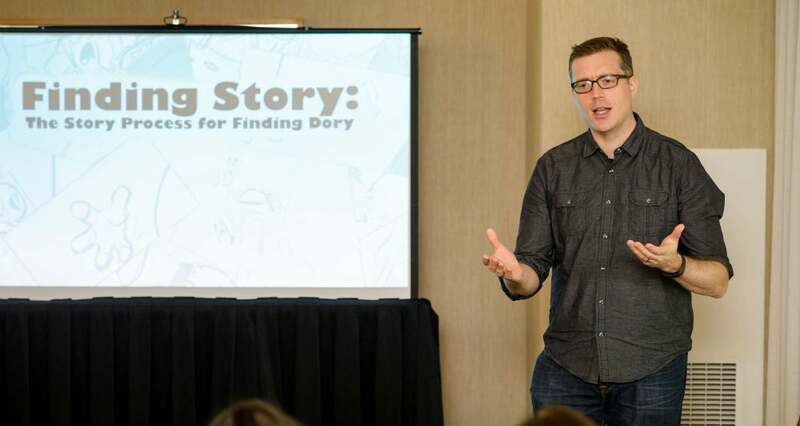 "For a long time we put Dory's backstory completely in the beginning," Stanton said. "And that started to not work after a while, because we told too much of it and we realised, 'Oh, we have to put flashbacks in this movie."' 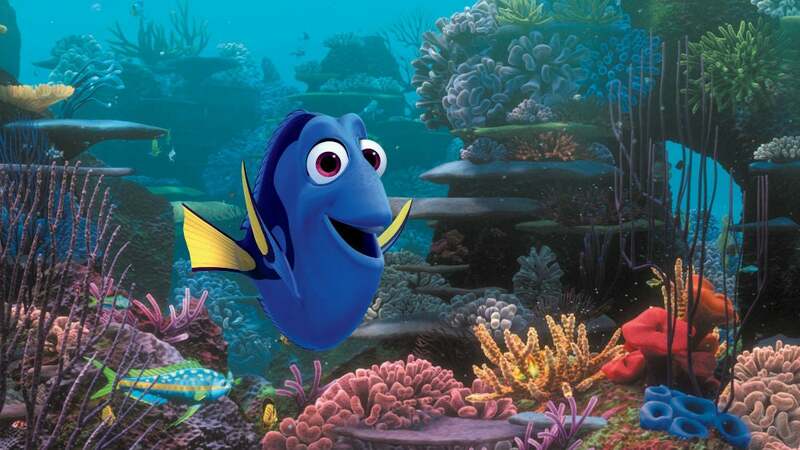 However, they're not technically flashbacks, because Dory is remembering them at the same time as the audience. When Stanton realised that, he was so excited. "Oh my gosh, it's the complete inverse of the first movie," he said. 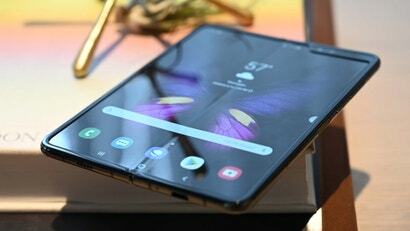 "It's like they're meant to be folded up in a little case together and they fit each other." Hank, voiced by Ed O'Neill, was a huge challenge. Hank is kind of Dory's own sidekick. 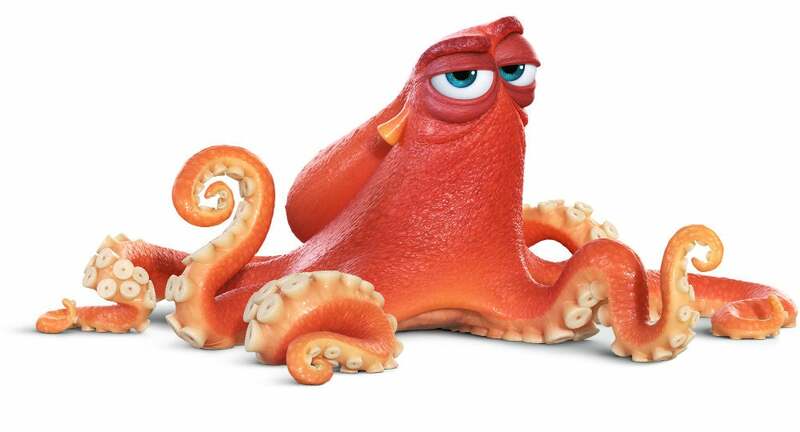 "Hank is intended to be the side kick, the Anti-Dory, who can do things she can't," McLane said. Basically, he's the Dory to her Marlin. Much more on him in a bit. Besides just wanting an octopus character in the movie, the character of Hank was described to the animators to be "lovingly curmudgeonly," like Pixar animator Bud Luckey, but with a movement like Kaa from The Jungle Book. When the Stanton told the animators his vision for Hank they had no idea what the story was going to be for the character. They just knew what he looked like and how he has to move. It's only in research that things develop. So, for example, Stanton found out that some octopuses can move around and camouflage themselves. "They're the most ambulatory creature there is in the ocean," he said. And that gave him a perfect vehicle to get a fish around a human place, like an aquarium. Bones make animation kind of easy. An animator can predict movement with them. But an octopus doesn't have bones, and that make makes animating one exceedingly difficult. It took over a year of animation work just to get the character's movements to a believable place. Oh, and his skin changes colour. Easy. Hank's introduction is one of the most complicated shots in Finding Dory. In the end 146 total versions from 18 different artists, not including riggers, shaders and modelers, completed it of the course of 13 months. However, the good news is, once many of those problems were solved, things got easier. 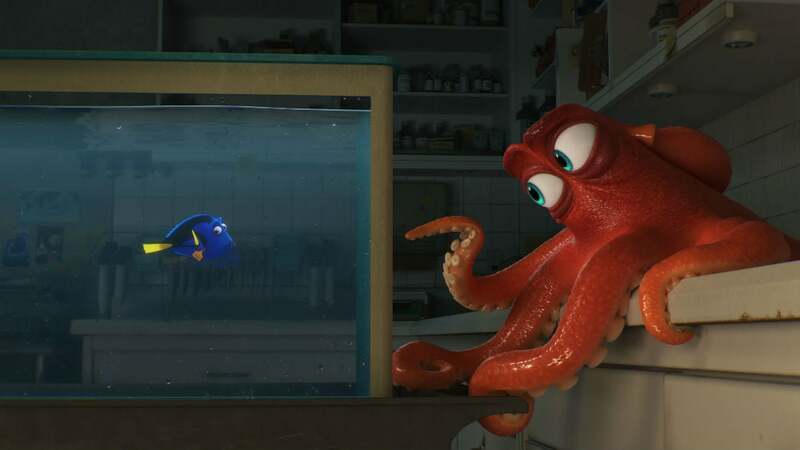 When breaking the story of Finding Dory, the team did about 103,000 storyboards over the course of three and a half years. They delivered a new reel of footage over four months over that time and that became the blueprint for the movie that's animated. "The drawings are meant to be thrown out," says story supervisor Max Brace. "No ideas are too precious, and it's really about what is best for the story." For years on her show, Ellen DeGeneres would joke about the fact Pixar was making all these sequels, but not one to Finding Nemo. So when Andrew Stanton called her to finally tell her the news, she got him good. "When I called her to go, 'OK, Uncle — we're gonna finally make one,' she said, 'I'm just kidding.'" When they were casting the movie, Andrew Stanton was always wondering how people would sound opposite Ellen. So off to YouTube he went, because, thankfully, Ellen has interviewed almost every celebrity ever on her daytime talk show. By watching those videos, he could test to see the chemistry she had with new cast members like Ed O'Neill and Ty Burrell. As great as Dory, Nemo and Marlin are, Finding Nemo was made on its supporting characters: Gil, Crush, Squirt, Mr. Ray, etc. You see lots of them above. Well, many of those will be back, but not all of them. 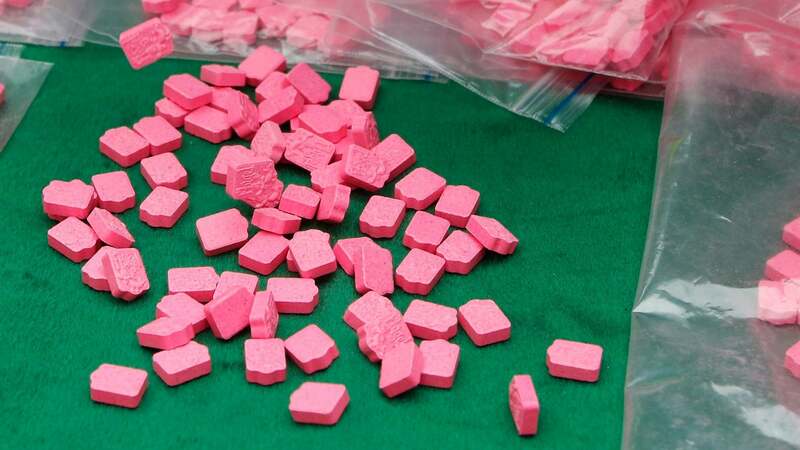 "There's an attempt to get as many in there for the right reasons as we can," said Stanton. Characters are animated with software that creates animation curves. What that means is each character has about 30 different controls for movement. You move a cursor up the curve or down the curve for a more subtle or violent movements. Animators refer to these as the "ingredients" in the "recipe" of the movement. While describing how he designed the look of the ocean, Steve Pilcher talked about how making a movie like this is even more rewarding. "We learn a lot working on these films," said Pilcher. "You learn a lot about biology and everything else. How kelp attaches to a rock on the bottom of the floor. How much sand there is, how dark the rocks are, how does the colour change from the surface way up high." Basically, to make the movie right, the filmmakers became ocean experts. Pixar isn't going for photo realism. Though they do an unthinkable amount of research and design every single thing down to the tiniest detail, there's one thing Pixar doesn't want to do. 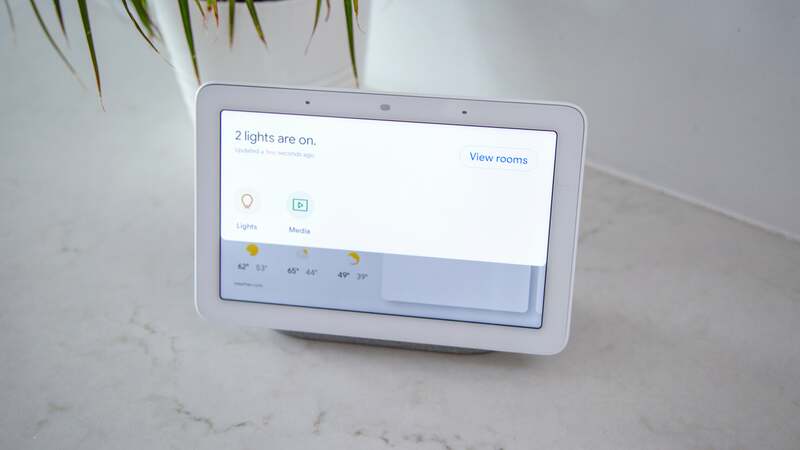 "We're not trying to photo replicate everything," Pilcher said. "We are trying to take all the information from reality and reinterpret it in a somewhat manageable, simplified way that stylizes it a bit. Give it character." Much of the MLI is based on Monterey's aquarium. 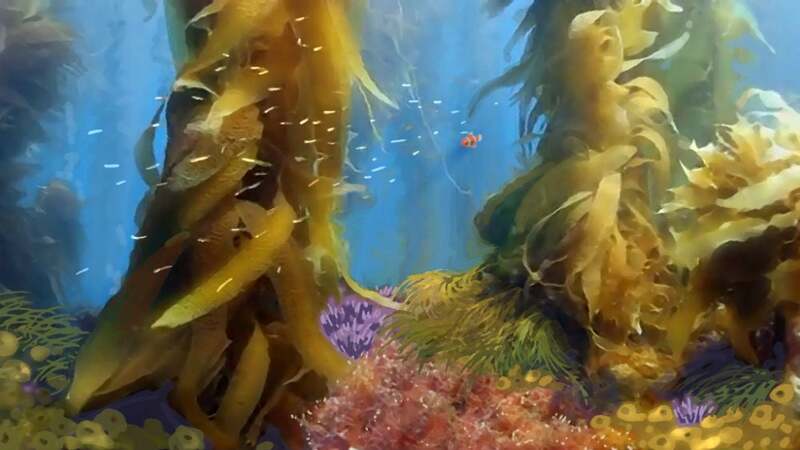 Pixar's design team researched lots of aquariums all over the world but the one in Monterey, CA the Monterey Bay Aquarium, was a biggest inspiration on the look of Finding Dory's MLI. 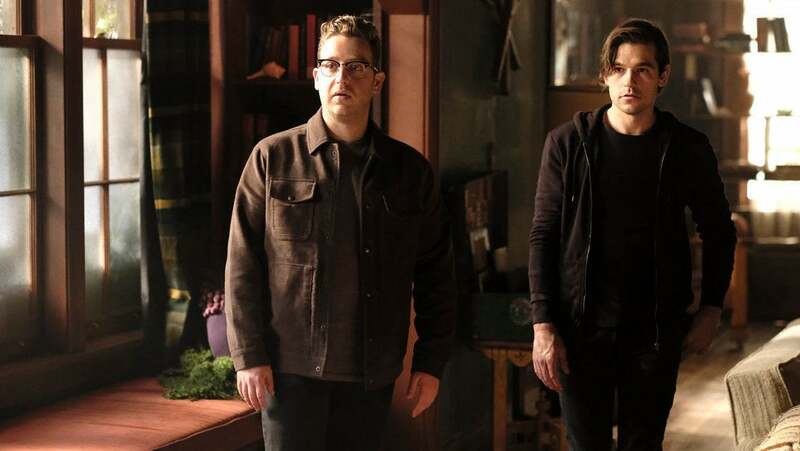 Rooms such as the quarantine are incredibly similar and everything from light switches, to scruffs, hooks and more was taken and used for the movie. No detail was too small. 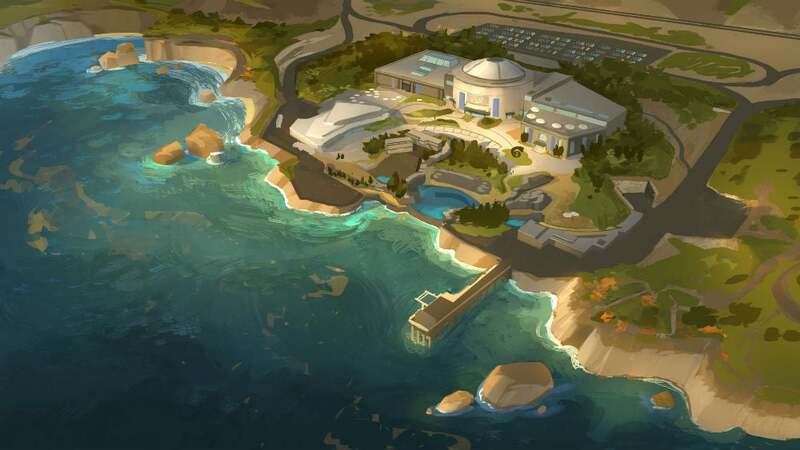 Concept art of the Marine Life Institute, the film's main setting. They designed parts of MLI that you'll never see. Because the story on a Pixar movie can change so often, when designing and creating the aquarium in the movie, the production designers built the entire compound in the computer. Even things we'd never see. This way, if the story changed, they had the options of where to set scenes. One example is the parking lot. At one point, a full scene took place there but now its just in the background. This movie is all about Dory, a fish with short term memory loss. So the filmmakers wanted to make sure everything was seen through her perspective. That mean, unless Dory saw a huge space, we wouldn't see it. You won't get any establishing shots of the MLI, for example, because Dory never sees the full thing. Finding Dory has humans in it but they have been "Dehumanized" in various ways. You'll mostly see them in shadows and silhouettes because, more than Finding Nemo, this movie is about the fish, and we shouldn't be focusing on the humans. To make the movie feel real, Finding Dory cinematographers Jeremy Lasky and Ian Megibben had to select cameras and lenses for the computer to mimic. They wanted everything to have a basis in reality. So parts of the movie where things are closer and intimate are shot in a simulated 16mm feel. When things are larger and more sprawling, it's a simulated 35mm camera. Production designer Steve Pilcher showed a graph he made of the movie. This graph charted the emotional state of the movie so that he could evolve the colour palette throughout. On it, there was a huge, huge drop near the end of the movie. Does someone die? We'll find out in June. "By the end of this film, we should feel that [Dory] is going to be ok by herself," said MacLane. "That was the central driving idea we had." "That's the point of the story," Stanton added. "She's no longer the passenger, she's the driver. She has to learn how to do that." "It's like worrying about a kid," Stanton said of making this movie. "I was worrying about whether she was going to make it. And I suddenly needed that resolved. So now I really do think it's a closed circuit. But who knows? I've eaten those words before. Nobody plans to make a sequel 13 years later. It's a product of character love."